Back soon! Rob hasn't done a photoshoot or publicly admitted Kristen's his girlfriend or anything has he? How is everyone's Thursday going? I thought today at work would be a bit of a rubbish day, but I'm actually really having a good day. That's always a good thing! Susie - That's great that SonnyBoy is doing fine in his final year & yay on his good chances of getting into the musical this year! missp - Congratulations on you and RBell officially becoming a couple!! I think the author of Tips has written a couple of other fics with an older Bella (I've not read any though). I really loved her portrayal of Bella...and Edward. And I too loved the epilogues, perhaps more than the actual story I hope that she does give us a future outtake at some point, so we can see how their lives did turn out. When is your friend getting married? Are you reading the poem at the wedding? 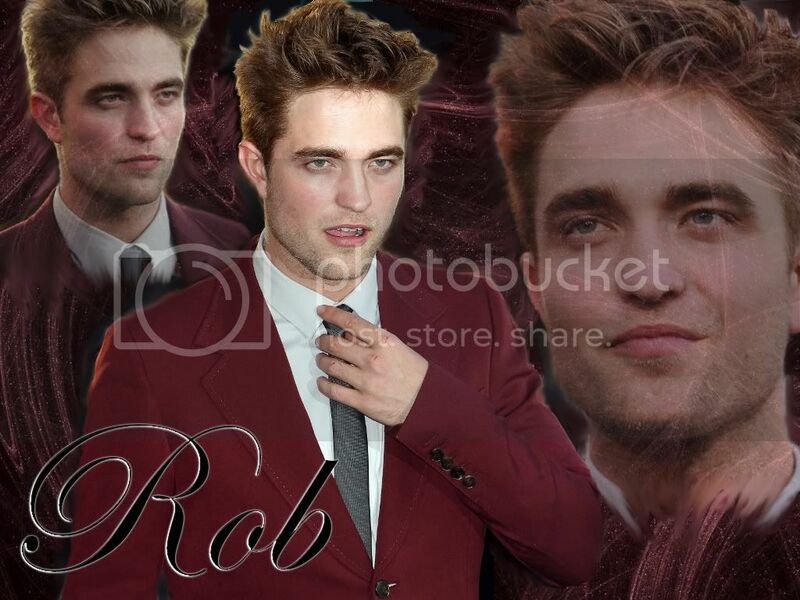 Haha, nope no new photoshoot but some GORGEOUS new outtakes!! The link is right here. Some of them truly are breathtaking! And also nope no public outing officially of Rob and Kristen... but have you been here since those papz pics of them proper kissing were published? Well back to work I go. I may check in later, but not sure what we are doing tonight yet. I'm here and still breathing! Just some personal stuff at home going on, so I haven't had much of a chance to do anything but pop in and try to keep up with everyone. I'm getting the kids off to school right now so I don't have much time, but I'll be back later once things settle down around here!! I loved making this one! HAPPY BELATED HUMP DAY! !